3 stars of gentle but rather slow-paced storytelling. 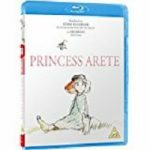 Princess Arete was originally released in 2001, produced by Studio 4°C (Steamboy, Mind Game) and based on the 1983 novel The Clever Princess by Diana Coles. It is directed by Sunao Katabuchi (Mai Mai Miracle, Black Lagoon: Roberta’s Blood Trail). Humans, Titans and Human Titans. 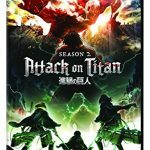 Ever since 2015 when we at RRR saw the first awesome release of Production I.G’s Attack on Titan, we have been waiting with baited breath for season 2 Part 1. What thrills and horrors await us? 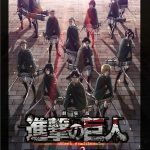 Once again we join Eren Jaeger and the Scout Regiment as they defend wall Rose from the ever present Titans. 4 star stylish gothic horror tale of love and loss. 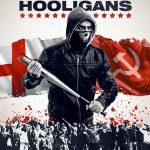 From Greenway Entertainment Limited and Steven M. Smith (Ghosts, I am Hooligan, Borstal, The Doll Master, The Howling) prove that British Independent is well and is on the up as they announce their latest release. With summer coming up, this trailer should warm you up nicely. 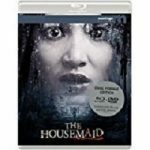 3 star surreal, enthusiastic and slightly rubbish Japanese horror comedy. 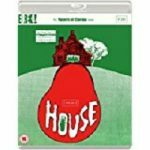 House was originally released in 1977 and was the debut feature of surrealist director Nobuhiko Obayashi (The Discarnates, Seven Weeks). Forty years later, it still has the capacity to leave a lasting impact. 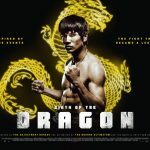 It is presented here as part of the Masters of Cinema series, #184.